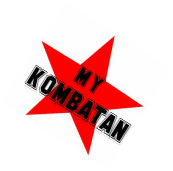 I started mano mano in 2009 and planned to stick with it, but in January 2011 Michael Ermac visited Finland and this was when I fell in love with kombatan as well. My favorite system from Kombatan? Definitely sparring and fighting and also sinawalis and the freestyle drill. 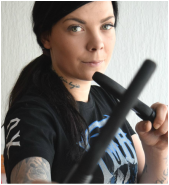 I love stick fighting and I think sinawalis and freestyle drill are important in fighting, my personal fighting style is built upon them. I could train sinawalis just hours and hours! Combining them is like an art form in itself. There's so plenty of them I don't know where to start! There's many countries travelled and many camps experienced. Probably the first to mention would be the trips to the Philippines. My first trip to the Kombatan World Camp was unforgettable. Lots of training, meeting new people and seeing old friends as well - it was like a big family reunion! The second trip to the Philippines I made together with my dad. There was a chance to be present in an FMA hall of fame and a visit to GM Lito in Cebu. Actually I've got good memories from each and every camp I attended, too much for this page! 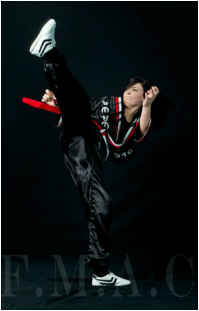 Black belt is a White belt who never quit!